There's a very good reason why we're back here so quickly - as Paalo was having a read back through the posts he came to an interesting discovery - today marks the first blog-iversary of our first post on Fenix. Well, that's more than a good enough reason to go out! For a change, we begin the night with a glass of Bollinger which is followed by the liquid nitrogen cleanser. 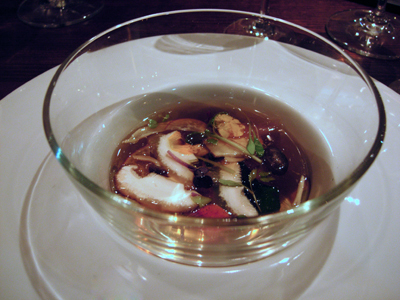 Smoked Tuna Broth with a mix of cultivated and field mushrooms. We've talked about this dish before but it's now being served in a deep glass bowl. There's a bit of tilting and twisting required to get to the contents due to a combination of the bowl height and spoon structure - it was easier to eat when served in the shallow bowl. This is one soup in which you will enjoy to the very last drop. 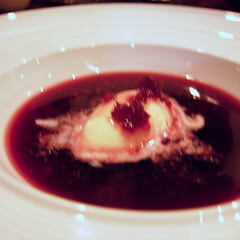 It's a poor photograph of an excellent dish - the broth was a delight, it's flavour hard to describe but you just wanted to take another sip to try to work out all it's different notes. 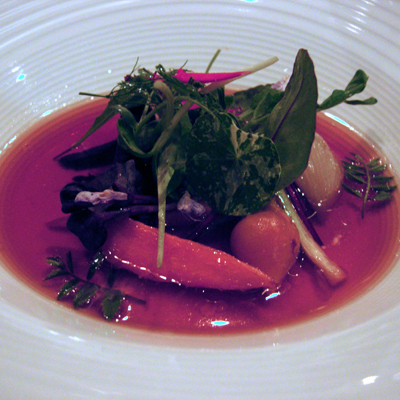 In the vegetable mix we had the tiniest baby leek, baby turnip, beetroot segment, baby onion and carrot and slivers of meaty mushroom. A variety of leaves sat atop including pineapple sage and chickpea leaves. 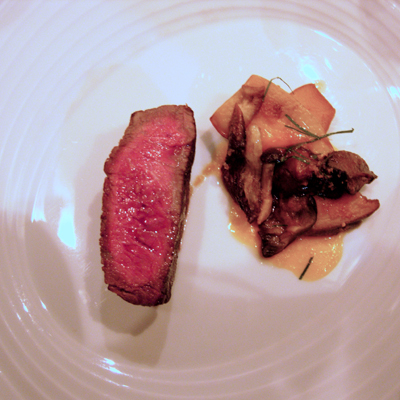 The wine certainly proved there's more to Henschke then Hill of Grace - this was a perfect match to this dish. It sounds like we're a broken record but Dan Hunter certainly has a way with fish and seafood of all types, they aren't just cooked well, they are cooked with true skill. 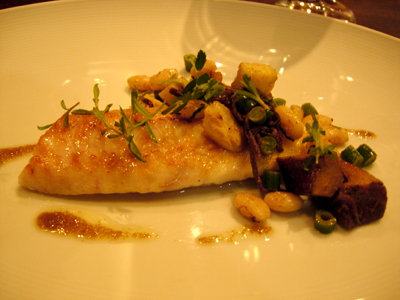 It's a more minimalist approach, there's no need for a heavy sauce as the fish speaks loudly by itself. King Pines are such a great mushroom - you can see a photo of them here. The beef was wonderfully tender and cooked just perfectly as you can see - the sauce was deliciously sticky - a thoroughly pleasurable dish. 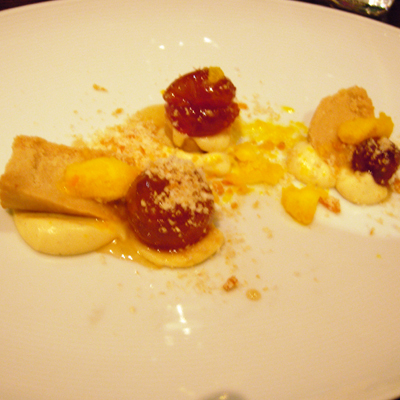 It's most disappointing that this photo is so bad as this dish is just so good. It's still in it's experimental stage and I'm not sure how they intend to improve it. Hopefully we'll get to try this again! A week is a long time in the restaurant biz as this dish has also had a change in it's presentation and name - it's still unbelievably delicious. 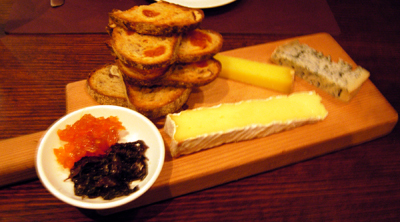 This is the cheese platter - it's not part of the degustation menu but we had seen them appearing and disappearing through the room during the night and could resist no longer. 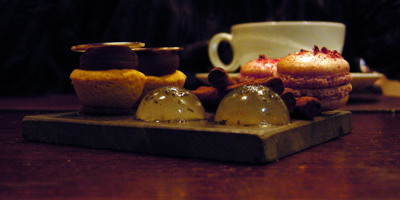 Petit Fours: Raspberry Macaroons, Salt and Vinegar Chocolate, Coffee tarts and Thyme Jellies.